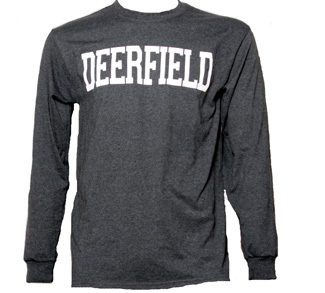 Dark heather grey long sleeve tee with DEERFIELD screen-printed in white across chest. 6.0 oz. 50/50 cotton/poly blend. 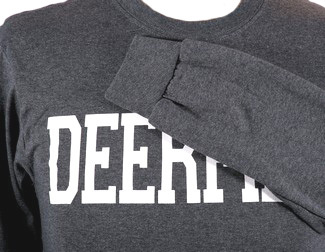 Double-needle stitched neck, sleeves. Seamless seven-eights inch collar. Taped neck and shoulders with rib cuffs. 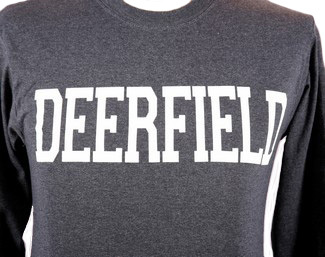 Unisex sizes S-XL.